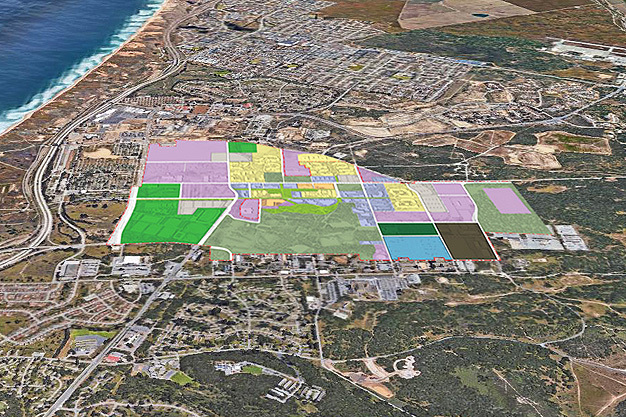 Located one mile from Monterey Bay, CSU Monterey Bay occupies the former Fort Ord, a U.S. military base converted to educational use through the Base Realignment and Closure Commission. Planning for rapid growth, the university updated its 2007 master plan to reflect projected enrollment growth from 7,100 students to 12,700. Long-term, the campus seeks to accommodate 400 percent growth, to an enrollment of 25,000 students. The master plan also addresses the campus’ 2013 Climate Action Plan, which commits the campus to carbon neutrality by 2030. To help the campus measure and manage its progress toward this goal, Brightworks evaluated the university’s proposed master plan against the requirements of the International Living Future Institute’s Living Community Challenge and LEED for Neighborhood Development. The Living Community Challenge and LEED for Neighborhood Development both offer a framework for new land development or redevelopment projects. LEED for Neighborhood Development offers strategies for improving on standard neighborhood development practice and provides rigorous, third-party review. 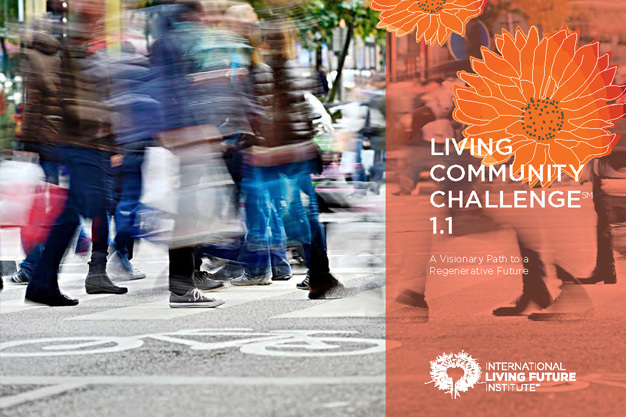 By contrast, the Living Community Challenge asks developments to establish a comprehensive vision of sustainability for the development. Certification as an Emerging Living Community then takes place through dialogue with a reviewing body. To help campus planning and design leaders further evaluate the two sustainability frameworks for use on campus, Brightworks facilitated meetings for campus representatives with representatives of each sustainability framework, helping begin their work together. Brightworks then provided recommendations to on which rating system would best support the campus’ goals. Since the university already has a strong vision for a sustainable campus, Brightworks recommended that CSU Monterey Bay attempt Living Community Challenge certification. A final report supported this recommendation, with a high-level summary of challenges and opportunities, as well as detailed, preliminary scorecards for each rating system. If successful in achieving certification, CSU Monterey Bay would be the first California university to become an Emerging Living Community.